It's time for a no holds barred discussion on race and economics in America and who better to bring it to you than Matt Kibbe and Deneen Borelli? 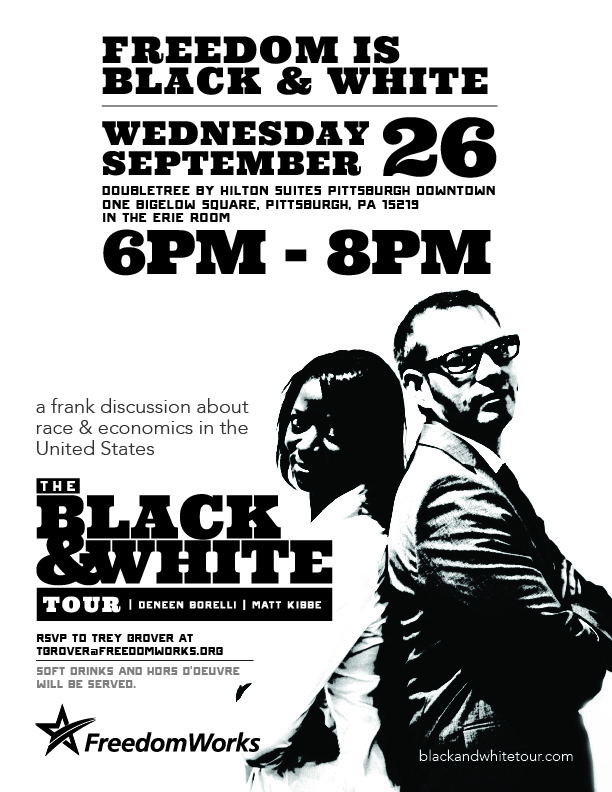 They're kicking off the multi-city tour in Pittsburgh, Pennsylvania this Wednesday, September 26th. Bring your friends and neighbors for what is certain to be an entertaining and enlightening evening where you're guaranteed to learn something and have fun doing it. I will be attending, although there's no mention of how this event will be ticketed or cost thereof. When will we get info about this?? ?